Journalist ◆ Filmmaker ◆ Academic | Ever Heard of Kids News? Ever Heard of Kids News? Here’s a blast from the past. 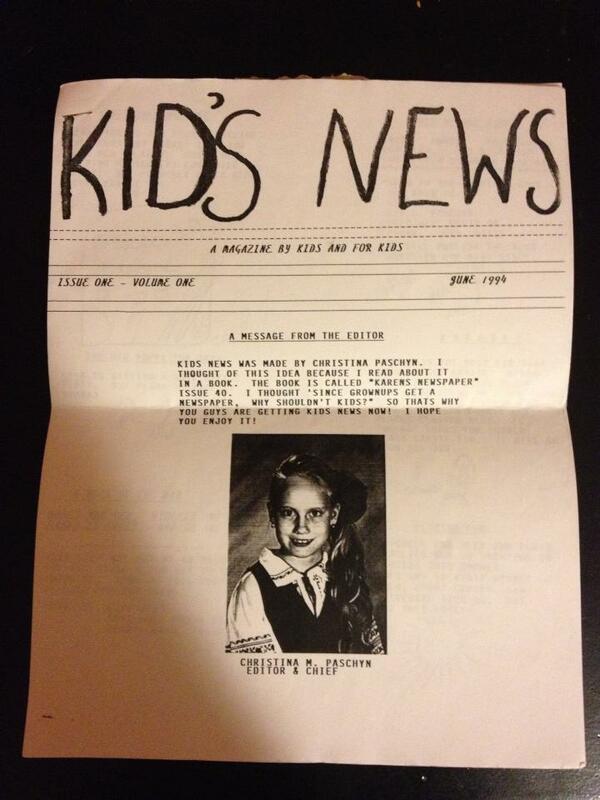 When I was a wide-eyed, button-nosed nine year old living in Parma, Ohio, I “published” my own newspaper! Called Kids News, I ended up printing about four issues before shutting down the presses, and, despite the title, I’m pretty sure there wasn’t a modicum of factual information in there. But I have to give credit to my amazing mother – she helped me print and distribute the copies to all my classmates at St. Josaphat Ukrainian Catholic School. My first newspaper. I “published” this when I was 9 years old! What a great newspaper that was. Jounalism was in you from the start.